Hello Kraid, I have a finished snowy stairs model, but I have ran into a prop. It seems i need to make a collision model for the prop but I have looked every where on how to do it properly with no avail. I was wondering how would i go about doing this? Not sure why you modelled the stairs at all, because this kind of stuff is usually done with func_detail brushwork because of the lightmap. But if you really want this, for whatever reason, to be a prop, you surely have to build collision for it too. A collision model is always composed of convex shapes. unwelded vertics or anything that would cause the shading to create hard edges. Left to right: Model, Level of Detail Model, Collision mesh. 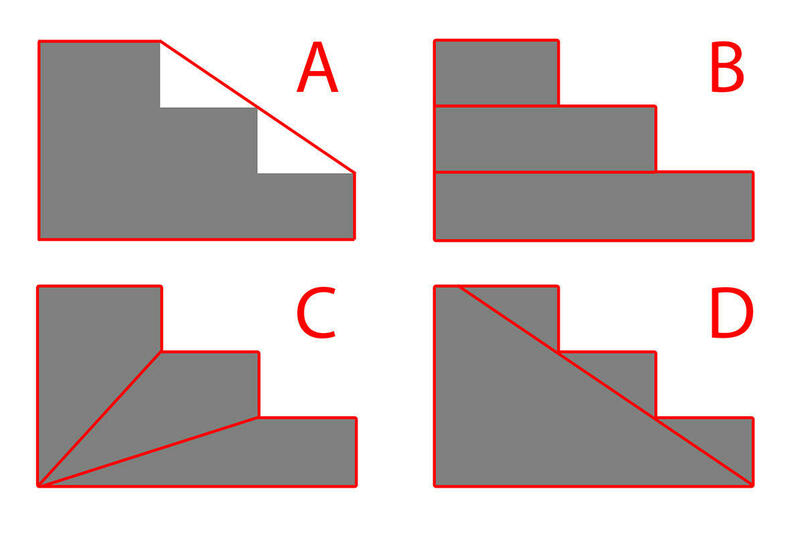 A: simply wrapping the stairs into a single convex shape. that are to far beyond the CM and players would move up these stais like it was a ramp. C: also not exactly hard if you know how to do it. D: i wouldn't recomend doing this, because it creates 1 more CM part then the other methods.